We got a set of these for the Triton & were very happy with them.. In fact, being as they are probably the Universal Style they may fit the Max, hope so. Very nice. Where did you order these from? What springs in those struts? and, What height did you specify? App_master, I ordered them through Fulcrum Hillcrest. He seemed great to deal with. 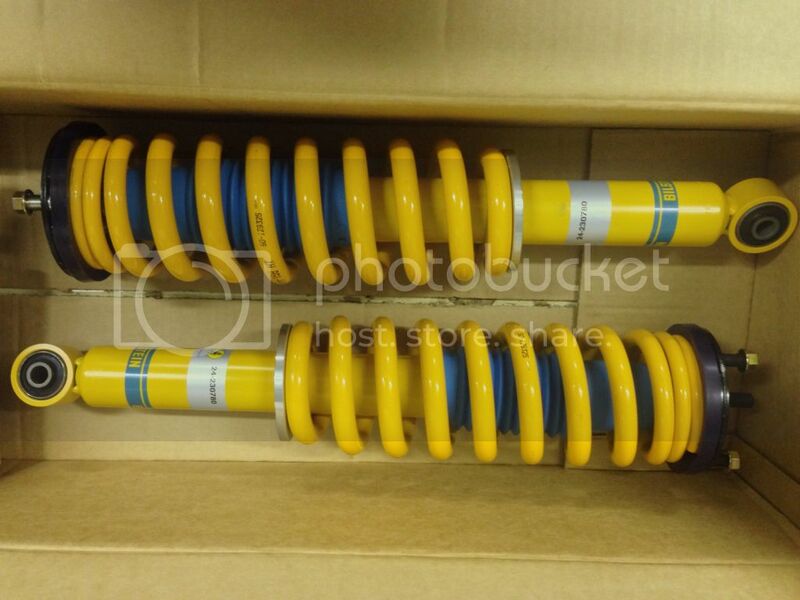 Bilsteins are 24-230780 and the king springs are KHFR-168HT Raised tapered to suit Bullbar. Installed front shocks and springs. Sitting at just over 565mm each side. I'm happy with that if it only drops 10mm. Front definitely feeling much better. Update on the king springs... They're harsher under braking and the bigger potholes etc... which makes sense being tapered. But much better comfort and handing on everything else. Especially on your typical gravel roads. But I am noticing the stock rear lacking now. The rear actually feels harsher over bumps so that's a good sign the front is an improvement.